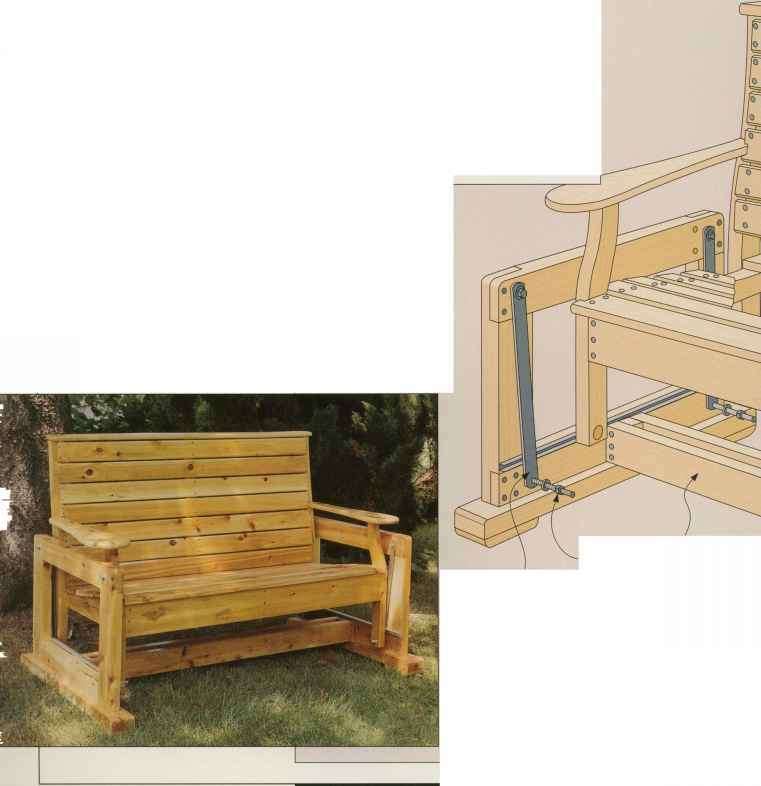 Side frame rails 4 VA" S'A" 28"
Side frame stiles 4 1%" 3V/ 20"
Support straps 4 Ye" 1" 18"
The advantage of a glider base over a porch swing is that it is self-supporting and can be placed wherever you want—on a porch or in a garden—without requiring supporting beams or tree branches. The base features a metal rub rail at the bottom to prevent the bench from bumping against the base as it glides back and forth. This versatile glider base can be adapted to fit different designs of benches. 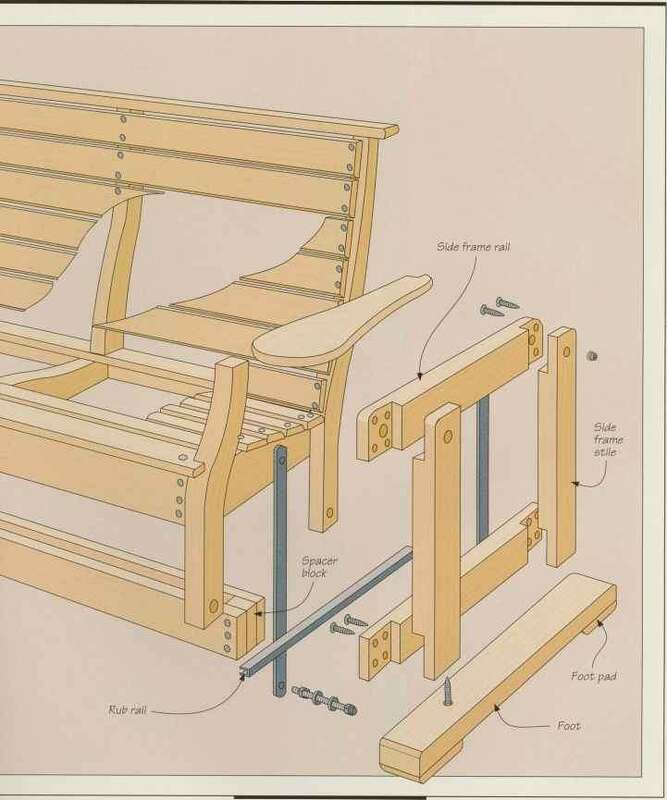 In this case, it has been constructed to support the bench shown on page 64. With simple changes, this design could easily add swinging motion to a chair, or a bench up to three persons wide. The base consists of two side frames connected by two central beams that are separated by a spacer. The frames are made of rails and stiles joined with corner half-laps. The beams can be shortened or lengthened as necessary, depending on the size of the bench or chair, but remember that the longer the bench, the more its weight, and therefore the greater the stress on the glider base. The bench swings on 18-inch metal straps. They should be angled slightly inward so the top ends are farther apart than the lower ends. This will tend to slow the glider down as it approaches the ends of its swing. 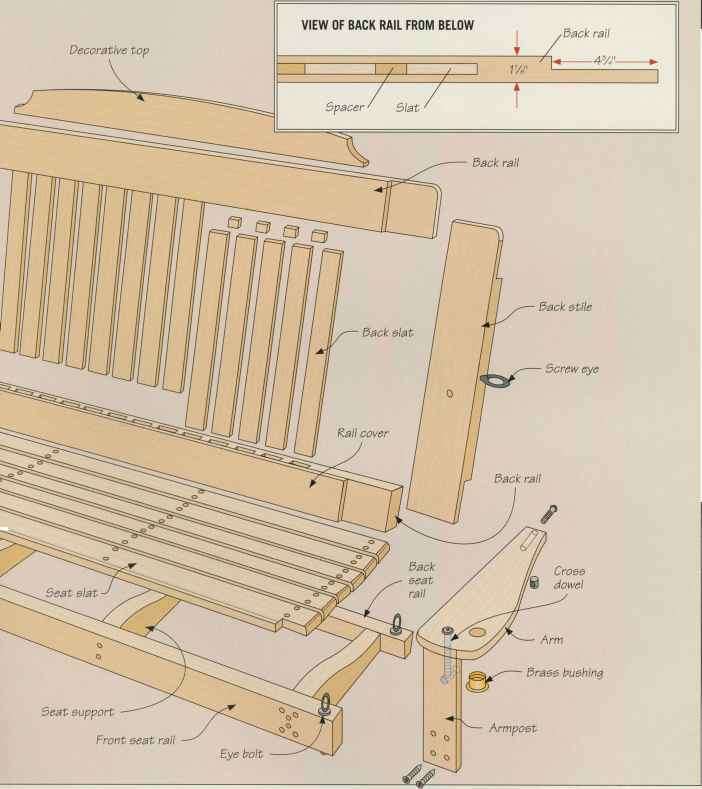 It also reduces mechanical stresses on the bench and glider frame.